Rachel Zoe should be credited with making the fur vest hot again because she wears them so well. We also love the way Kim Kardashian and Mary Kate Olsen rock their fur vests. 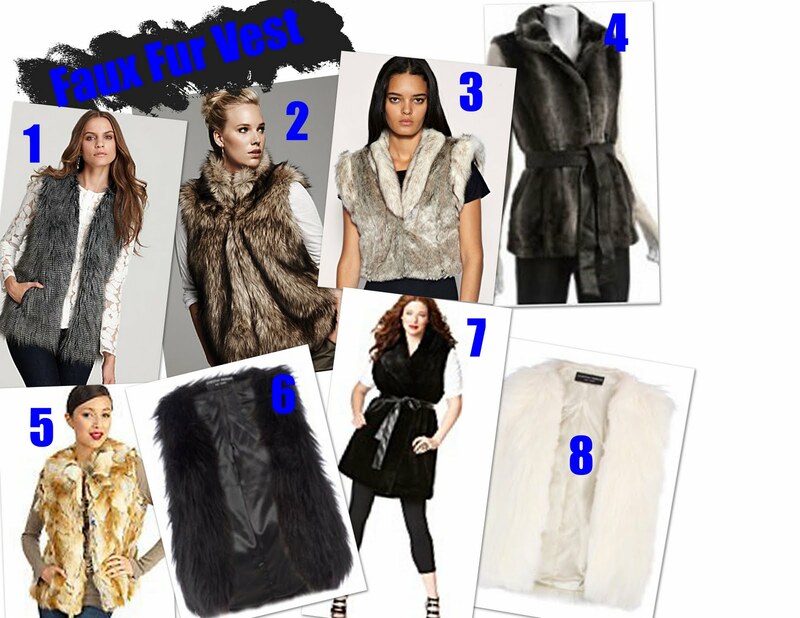 This Fall season fur vest are one of the hottest items to have. It pretty much goes with just about everything you have in your closet. You can wear it with jeans and a long sleeve tee or thrown over a dress. We love that this year plus size curvy girls can take part in the trend due to the sudden increase of trendy clothes for the curvy girl. SC loves the Michael Kors fur vest and the Via Spiga belted vest. Love this trend? Well SC is hooking you up with 8 super cute options.